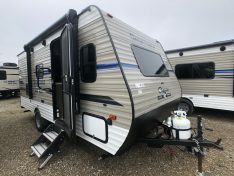 The Grey Wolf 26DBH is the number one selling floor plan for Grey Wolf today. 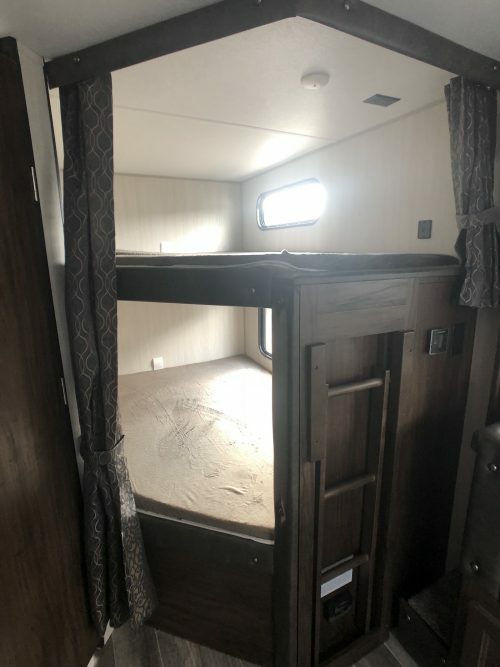 The Grey Wolf 26DBH has 2 full bunk beds located in the rear of the coach. 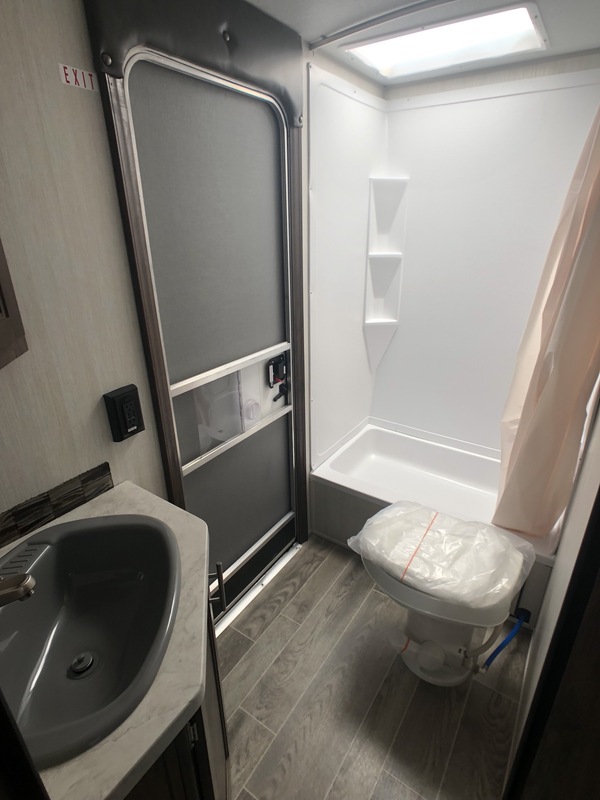 The bathroom is located next to the bunks with a tub/shower, toilet, and sink. 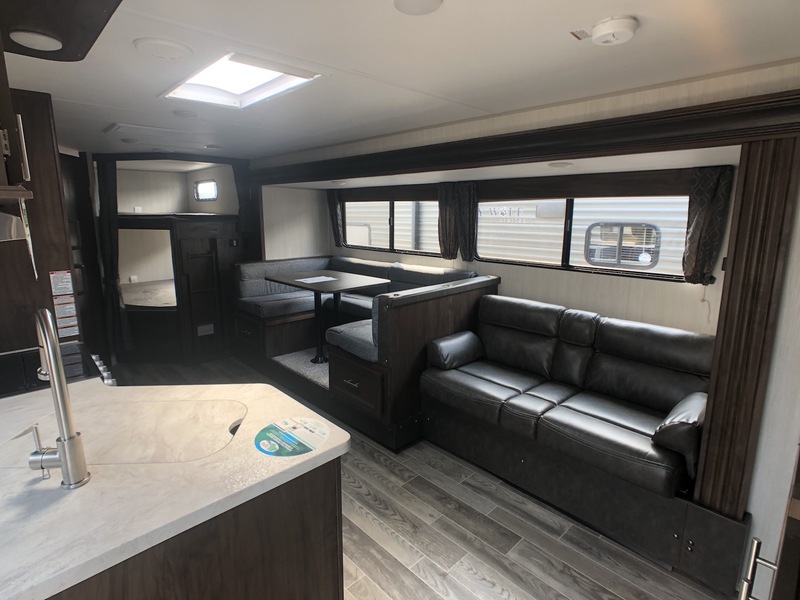 Moving into the main living area, there is a large slide out with the u-shaped dinette and couch in it. 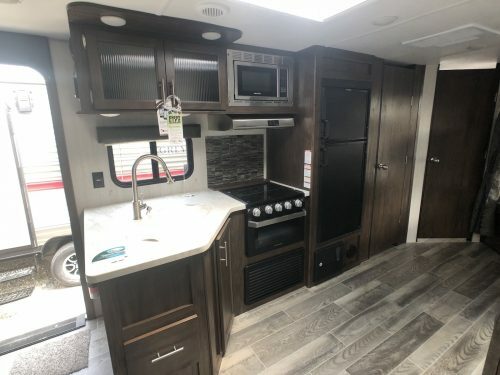 The kitchen is located directly across from the slide out and has a stove/oven, single basin sink w/ pullout sprayer, microwave, and RV 2-way refrigerator. The 26DBH also has a huge pantry that can hold enough food for the whole family. 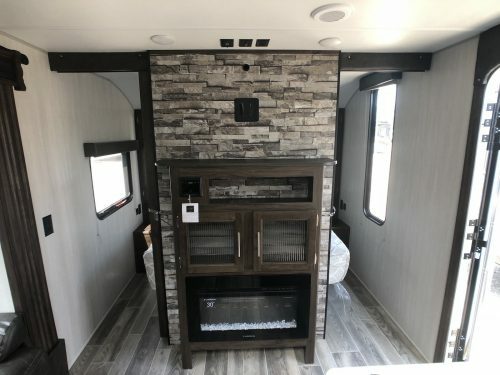 The entertainment center is located at the front of the main living area. 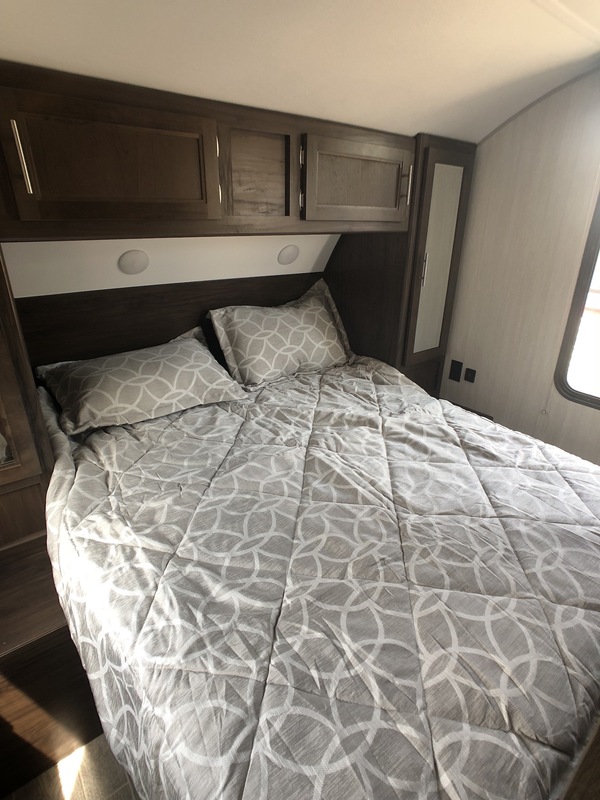 The master bedroom has a queen walk around bed with his and hers wardrobes on either side of the bed. The master bedroom has two solid wood pocket doors on either side of the entertainment center for privacy. 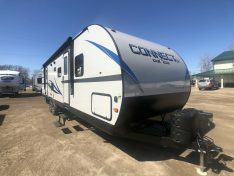 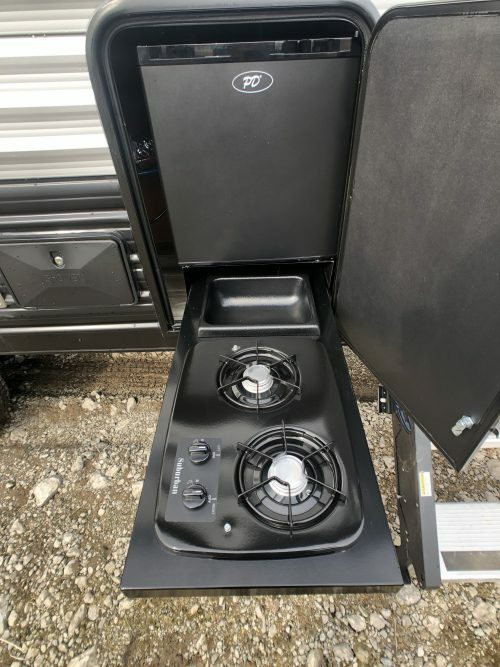 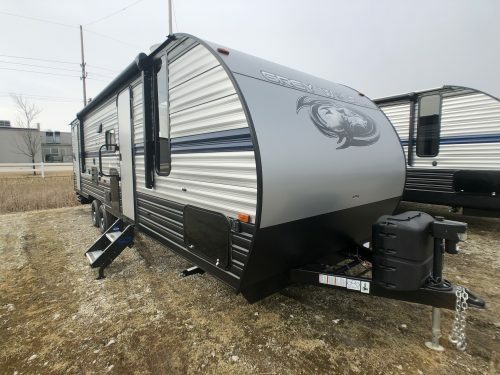 This Grey Wolf 26DBH also has the upgraded limited package on it, that adds a whole list of options like power awning, rear fold down travel rack, exterior speakers, and power tongue jack just to mention a few. 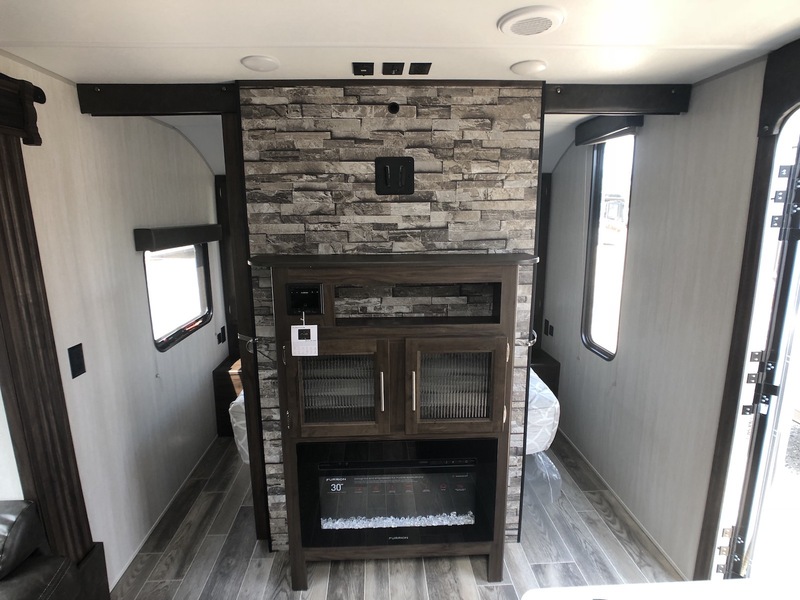 The Grey Wolf 26DBH is also a double entrance floor plan with the rear door into the bathroom and the front door into the main living area.